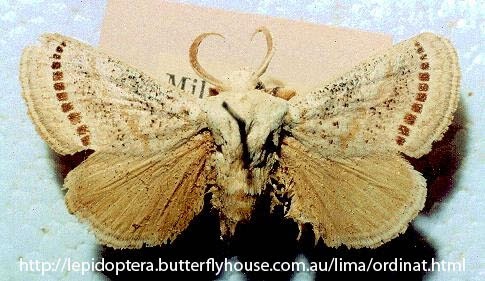 Calcarifera ordinata is a species of moth. 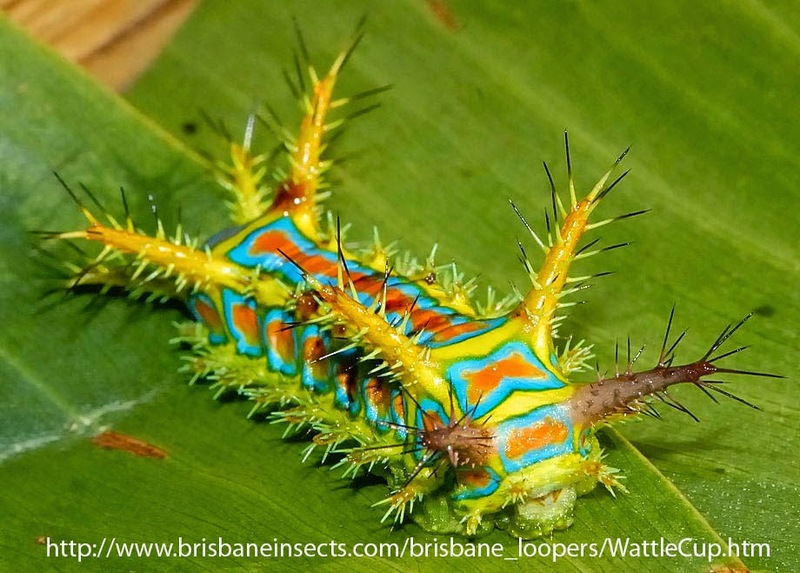 The adult has no common name that I am aware of but the juvenile is known as a wattle cup caterpillar. The adult is mostly light brown with a few cool markings, but nothing to write a blog post about. The juvenile looks a lot more interesting. It is covered in a variety of fine colour markings. It also carries four pairs of thorn like protrusions covered in stinging setae. These setae are venomous and being stung by one of these guys is apparently far worse than your average wasp. Calcarifera ordinata is mostly found in the Australian tropics with a little overflow into the temperate region.